If you thought playing tag at DjaDja’s house meant running around 14 acres of land on your feet…you’d be so last century! Heck we give the two year old and seasoned citizen the leg up in every way. In fact the only guy running on foot was the cameraman! How fast can two years go? For child number four, my precious Kellie Marie it is like a stroke of lightening across the sky. Here are just a few highlights…. Kellie Marie’s first birthday party! 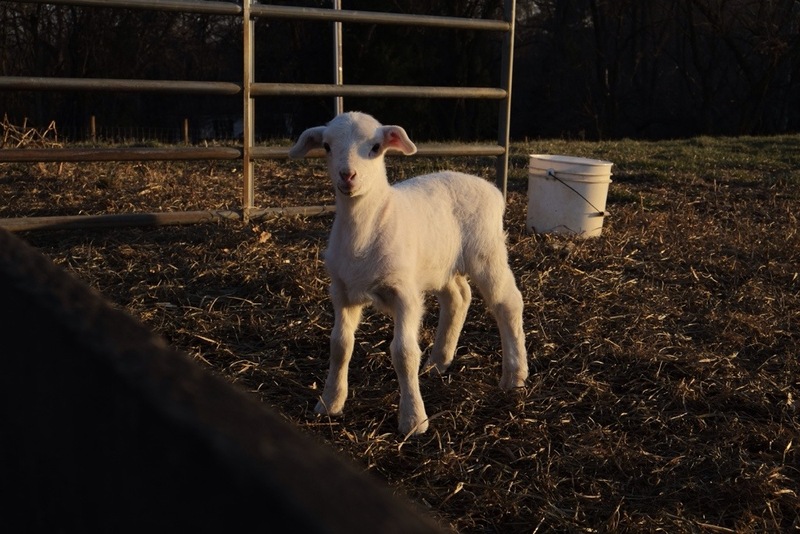 So what does a farmer do when a baby lamb loses its mother hours after it birth? My second son’s Godparents recently had this occur on their farm. A ewe carried her 10th lamb to term, and died shortly after the birth. 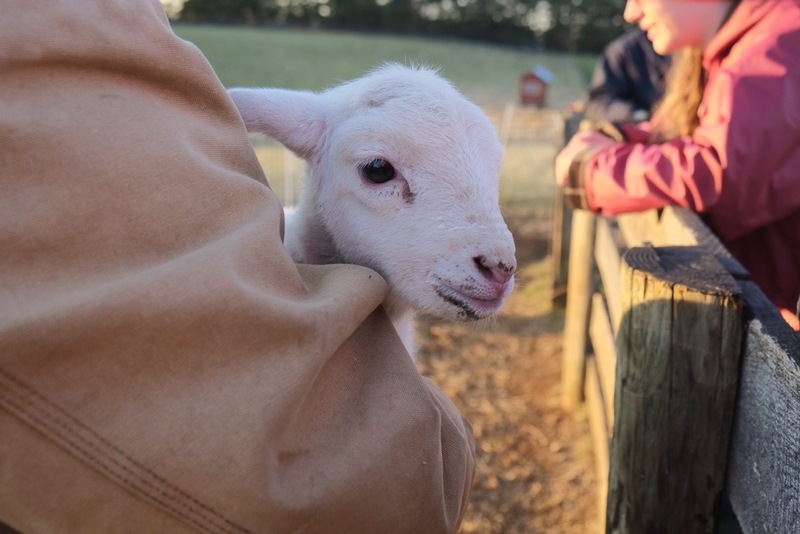 If the lamb existed in the wild, it would simply be left to fend for itself immediately. No other ewe will care for it, preferring instead by instinct to care for its own offspring. 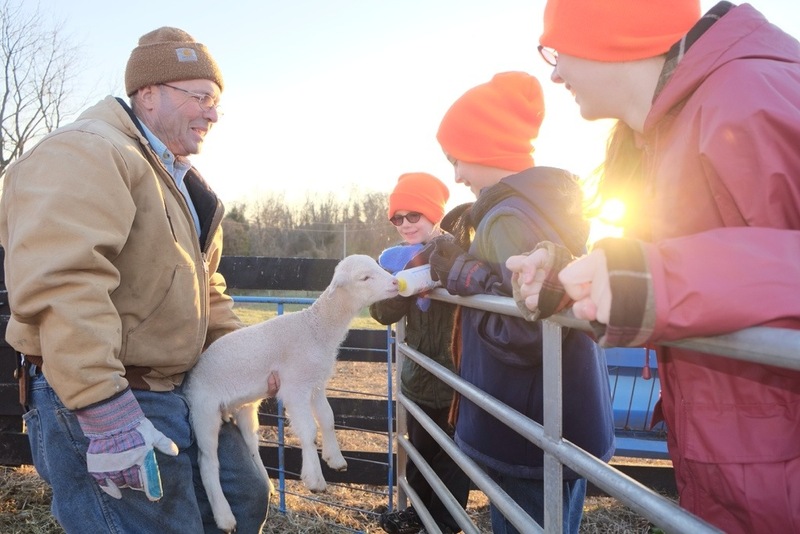 This farming family instead will feed the lamb ewe by hand until it can fend for itself. Extra work yes, but it is an example of proper stewardship of the world we live in. These Godparents let nothing go to waste if they have any say in it. I find it is also a little example of following the wisdom of God, and an example of what we saw from Christ. We are all fallen creatures, even if we have good genes we are all still flawed. Despite this problem of ours, he for came into the world as a child, and grew to become a man…the perfect sacrifice and example for us to follow so we too could be with him in heaven. So as you prepare for the arrival of Christ tonight…remember that as hard as it is to fathom…he calls us to follow his example in largest, smallest and everything I between parts of our life. 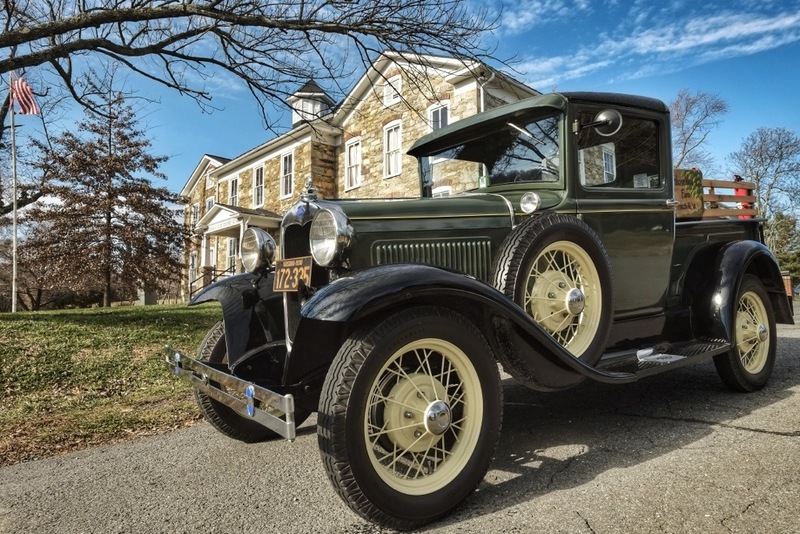 My Dad and I went for a ride in the Model A yesterday, just to take out the trash in town….and of course the truck demanded a short photo shoot! Luckily we had the historic school and some clouds to make the shot a little more interesting! No crazy thoughts today…other than I hope you had a great weekend! I start a long road trip home tomorrow with the family in the “Silver Bullet.” So if you see a big van running down I-81 to Ashville, NC that would be us! P.S. This is little X-E1 with an appearance of the 14mm. I really enjoy that lens! Edited in Snapseed on my IPad.